“The Manic White is a science experiment — one that engages with a crucial question posed by our current culinary moment. Is learning to love a bretty wine much different from learning to love kombucha or sauerkraut — or, for that matter, for foreigners learning to love Chinese stinky tofu or French washed-rind cheese?” In the San Francisco Chronicle, Esther Mobley looks into why Napa winemaker Mandy Heldt purposely inoculated a wine with brettanomyces. 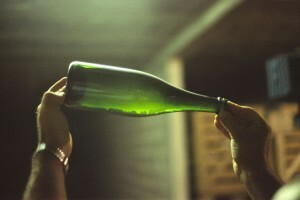 WineBusiness.com reports that Mary Ann Graf, California’s first woman winemaker of the modern era, has died. In Vinous, Neal Martin checks in on Domaine de la Romanée-Conti’s 2016 releases of now that they are in bottle. In Wine-Searcher, James Lawrence reports on how different attitudes to the DtC model are splitting the industry into different markets. Grape Collective talks with Aurore Dezat of Domaine des Chasseignes about organic winemaking and what makes Sancerre a special place to make wine.